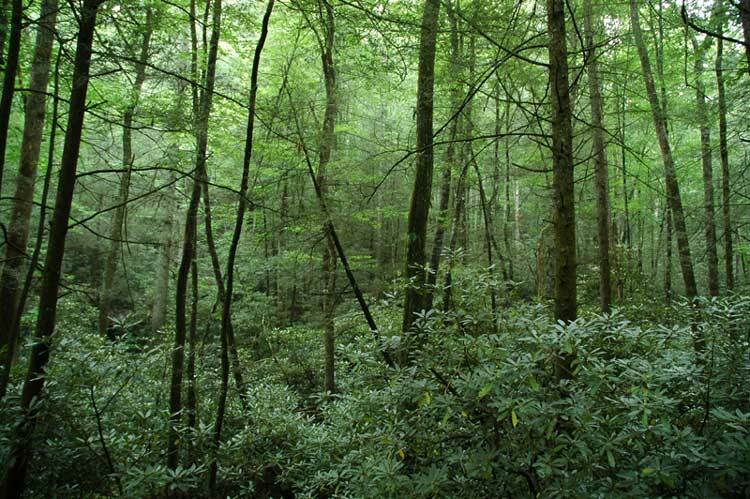 WNC Communities is pleased to manage the TVA Ag & Forestry Fund. This fund was created for innovative agriculture and forestry projects that strengthen the agriculture and forestry industries by addressing energy needs, sustainability, education/training, public outreach, economic development, infrastructure enhancement or other projects that meet environmental improvement standards. Grant: $10,000 to ASAP for the print and online Local Food Guide in 2016. This publication contributes to the region’s successful and growing local food movement by increasing local food sales, providing a key marketing opportunity for farmers, and promoting consumer awareness about where to buy locally grown food. This project partners with 700 farms, markets and businesses from the 17 county area to participate. 70,000 print copies will be circulated and the online version of the guide is an on-the-go resource with a searchable database and more detailed information about area farms. Grant: $20,000 to the Clay County Soil & Water Conservation District for a no-till drill to provide a cost effective method of establishing crops and forage for Clay County farmers. The no-till seed/grains drill is a vital tool when utilized in pasture finishing systems. This system is a combination forage system of cool and warm season grasses to allow for year-round grasses alleviating shortages. The equipment also provides a higher quality of crop resulting in increased yields while reducing overall costs to the farmer. Recipient: Community Services of Swain, Inc.
Grant: $25,000 to assist in the expanded development of the Swain County Farmer’s Market to their new location on property adjacent to the Tuckasegee Riverfront. This development will happen in stages and the funds requested will be used for vendor spaces, creation of an on-site pavilion for multiple uses, and renovations to the historic barn for expanded vendor sales and product demonstrations. This project will help to expand potential farm income in the region by expanding public access to farm products and produce, creating permanent infrastructure that will benefit and positively impact the farm based economic sector, and providing long-term sustainability for marketing farm and farm-related products on both a local and regional basis. Grant: $5,600 to the McDowell County Soil & Water Conservation District to purchase a weed wiper for rent to local farmers. A weed wiper is a resourceful tool utilized to eliminate undesired species of weeds in a pasture or hayfield. This equipment will provide many small, limited resource farmers in McDowell County with an economical and environmentally effective method for controlling noxious weeds. 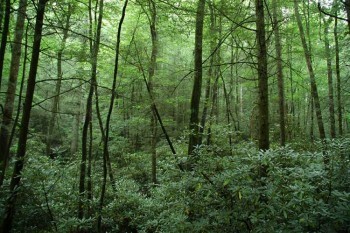 Grant: $10,380 to PHARMN to expand on a ginseng production workshop with a goal of providing producers and forest landowners in-depth training to increase their capacity to cultivate wild-simulated ginseng successfully to diversify production and income on underutilized forestlands in the High Country of western North Carolina. Watauga and Avery Counties have ideal site and environmental conditions for growing ginseng. Over the past 2 years, many inquiries have been made to the local Extension offices about how to cultivate ginseng in “wild-simulated” conditions to produce income from underutilized forestlands. This grant will increase growers’ technical ability to cultivate wild-simulated ginseng, increase production through seed and rootlets for replanting and/or sale, and increase profitability for farmers and landowners by diversifying their production. Grant: $16,550 to Southwestern NC RC&D to provide equipment and a facility for small scale commercial beekeeping operations. There are 200 beekeepers in Haywood County. By providing a commercial scale honey extraction and packing facility some of these hobby beekeepers will be able to increase their number of hives from 1 or 2 to commercial level production. The goal is to have 24 beekeepers increase their hives up to 24 hives each. The first year will be spent renovating a structure at the Mountain Research Station. The renovation of this structure will be less expensive than a new building. After renovations, a 20 frame honey extractor and accompanying equipment will be purchased and installed followed by promotion of the facility’s availability. Grant: $22,500 to TRACTOR to purchase inventory software and hardware as well as provide training on the hardware, and funds to cover the initial cost of bulk materials for the growers. TRACTOR helps to transition area tobacco farmers into new profitable enterprises, which impacts the small family farms in the region. This software will keep TRACTOR efficient as it continues to grow and assist farmers in meeting new GAP standards required by markets like Ingles and Lowes Foods. Grant: $25,000 to Cherokee County for the creation of a recreation and camping area on Hiwassee Lake leading to economic development opportunities for the tourism industry within this underutilized asset. The goal for this project is to support the forest industry by preserving and providing appropriate access to forested lands in the county for enjoyment by tourists, local residents and future generations. This project will include the construction of an access road and twelve primitive campsites located on the western shore of Hiwassee Lake.